Two main things separate truly professional musicians from dabblers: the way they listen and the way they practice. And guess what? The two are inseparable. Obviously, dabblers practice and they listen, but when you closely observe a professional practicing and listening, it is obvious that there are drastically different processes going on compared to a dabbler. 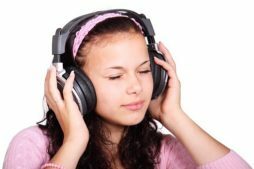 This post will focus on listening skills and techniques that will make your violin practice more effective. It turns out there are many types and levels of listening. Which ones do you use? This is our most basic form of listening, and most beginners stop here. This is where we learn to play the right pitches and rhythms. We experiment with bowings and fingerings with the help and advice of a teacher. We fix basic intonation. We drill and drill. In the online violin Suzuki book 3 class, I teach techniques that make this type of practice more efficient and effective, but it all starts with listening. When we practice, we are not doing it to be entertained and merely enjoy our own playing. We have to be critical and point out the flaws and imperfections we can possibly detect. Beginners can detect only about 10% of their own imperfections. They need teachers to point out the rest at first. As they improve and work on their listening skills, they start to hear smaller and smaller imperfections. As soon as you learn critical listening, you really need to adopt constructive listening as well, to balance out our new-found skill for pointing out all our flaws! It can be so depressing to constantly find fault in our playing unless we balance it with constructive listening. This means hearing things that we are doing correctly, things that we are naturally good at, and reminding ourselves that practicing is about fault-finding and fault fixing. We should pat ourselves on the back for being able to detect the faults, and reassure ourselves that awareness is the first step to fixing the problem! Hooray! We are aware, now we can start to fix it. This is ESSENTIAL to having productive, positive practice sessions and avoiding the self-loathing that can occur with critical listening. Most students stop listening after the pitches and rhythms are correct. You will increase your pace of improvement immensely by learning to also listen to your tone quality, advanced intonation, vibrato, and cleanliness or articulation. Learn to hear those pesky little extra noises of your bow or disruptions caused by a faulty vibrato. Sometimes, it’s better to stop focusing on the obvious pitch and rhythm concerns and just listen to the quality of sound. Try it. You will find it very revealing! This is where you are able to listen, critique, AND diagnose your playing simultaneously. This is where you can play a passage, hear all the imperfections, AND understand the underlying causes of the imperfections. You know which notes are out of tune, you know why you missed a shift, you know that a certain note you missed was your BOW HAND’s fault, not your left hand’s fault, and know exactly what technique adjustments you need to make to fix the problem. For example, you know that you missed a shift because you didn’t bring your elbow around to the right far enough. You know that your BOW caused you to miss a note because you were late on a string crossing. You know that you played x, y, and z flat, and a, b, c sharp, and you can drill it and teach your hand to dial in on those pitches more accurately. This doesn’t mean that the passage is instantaneously fixed with all this diagnostic knowledge. It still requires slow practice, repetition, time, and patience, but it is effective and efficient to learn to listen analytically and diagnostically. Next time you are practicing, you will be listening to yourself. Ask yourself: what can I hear besides notes and rhythms? And make sure to read my other post about how listening contributes to expressive violin playing.